Apple has included a more subtle, yet very important, change in OS X Mountain Lion that points to the company’s focus moving forward. If you open the “About This Mac” window in the Mountain Lion developer preview, you’ll notice that “Mac” has been dropped for a simpler “OS X.” The prefix has also been dropped from promotional materials on Apple.com and the Mac App Store. 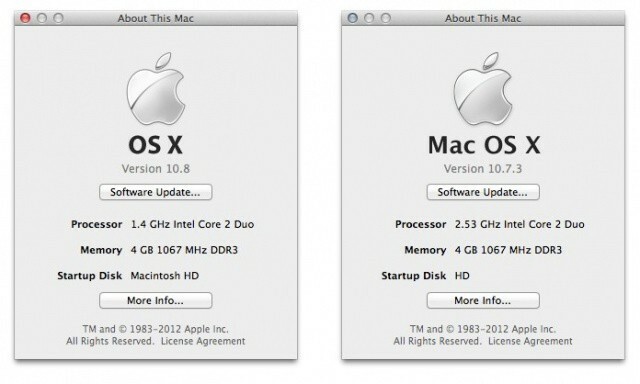 Why the change to just “OS X Mountain Lion?” Apple is continuing to blur the line between hardware and software. It’s about the unification of iOS and the desktop experience. By dropping “Mac” from Mountain Lion, Apple subliminally disassociates OS X from desktop hardware. As we’ve already shown you in great detail today, Mountain Lion is packed with apps and features that originated from iOS 5. iMessage is on the Mac. Notification Center is on the Mac. Notes, Reminders, AirPlay, and more have been ported to the desktop. The average consumer with an iPhone, iPod touch, or iPad will have no trouble getting used to Mountain Lion because much of OS X is now shared with iOS. It’s what Apple does best: a unified experience. I’m not saying that iOS and OS X will be one in the same anytime soon, but don’t be surprised when it becomes increasingly difficult to tell the two apart with each new OS X release. Apple introduced an iOS Home screen-like interface in OS X Lion with Launchpad, and the striking similarities between the two platforms continue to accumulate. 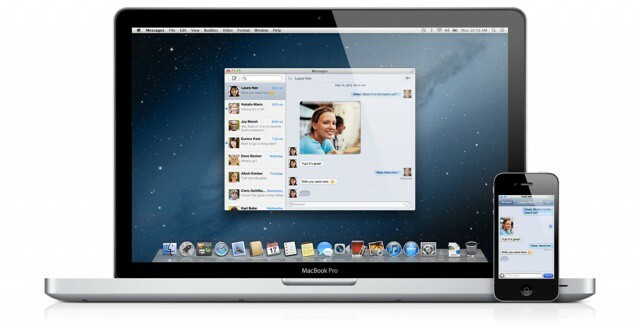 OS X Lion started the trend, and Apple has officially signaled the convergence of desktop and mobile today. Will Apple ever unite the name iOS and OS X? Probably. But not until the platforms are identical. It could happen in 3 years, or 5, or 10. iOS is becoming more featured-packed while OS X is getting simpler. That’s not a coincidence. Apple is a software company first and a hardware company second. The software that guides Apple’s decision making is clearly iOS, because that’s where the majority of the Mac’s new features come from and, more importantly, that’s where the money is. The iPhone and iPad account for the majority of Apple’s business, so it makes total sense for OS X to ride the coattails of iOS. Innovation is still happening in OS X, but there’s not a lot more that can be done to such a robust OS. The Mac is already the world’s most advanced consumer computer in terms of both software and hardware, so how do you make it better? You simplify the software by integrating it with the iOS experience and you continue to lead the industry with cutting-edge industrial design. That’s exactly what Apple is doing, and it’s paying off big time.